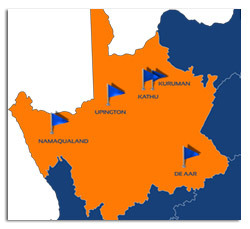 We at NCRTVET understands that South-Africa with its different sectors needs employers and employees with above-average skills and that is why our programmes are intended to directly respond to the priority skills demands of the Northern Cape as well as South African economy. Our qualifications are designed to provide both the theory and practical experience related to a particular vocational field. This ensures access to work opportunities in a work environment or sector relevant to the students™ vocational specialisation. A variety of National Certificate programmes are offered by NCRFET in the following fields: Management Programmes, Assistant Management Programmes, Hospitality and Catering Services, Early Childhood Development and Engineering Studies. and Computer Science and Safety in Society. A variety of part-time programmes are also offered at all NCRTVET campuses, providing adult learners and employed people with the opportunity to obtain a formal qualification, further their studies or do an enrichment course. For a complete list of all out Part-time offerings visit our Part-time and Continuing Education section. A learnership is a programme that combines work-based experience with structured learning thus combining theory with practice. Extensive skills training (plastering, bricklaying and painting) in various disciplines take place at NCRTVET centres.